The Plantronics Voyager Legend is the latest iteration of the venerable Bluetooth headset (see earlier post) with an iconic over-ear design that's bigger then tiny in-ear headsets. Smart Call Routing - Senses when you place the headset on (or off) the ear to automatically answer a call, direct calls between the headset and phone, or play / pause music. Noise canceling - With three microphones, active Digital Signal Processing, adaptive 20-band equalizer, acoustic echo cancellation, and sidetone detection. Wind canceling - With windscreens, acoustic mesh, and electronic filter in the mic circuitry. Incoming caller announcement and voice commands - Including call "answer" or "ignore". 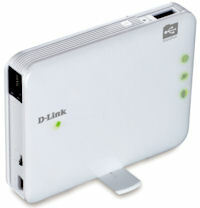 Multi-Point Bluetooth - Can pair two phones, answer calls from either. On-screen battery meter for iPhone, Find MyHeadset app for Android. Besides the technology boosts, the new Voyager Legend is slightly smaller than its predecessor Voyager PRO HD (4 x 2.5 x 0.4 in., 0.6 oz), and has a longer battery life (7 hours talk, 11 days standby). The physical design has separate buttons for the key functions, with volume and power on the back, and play/call control on the side. It also features moisture protection against rain, sweat and spills. The new Voyager also now uses a proprietary charging connection with a magnetric snap fit, which works well for a desk, but is less handy than microUSB for travel. The new, but classic, Voyager Legend is still priced at $99. 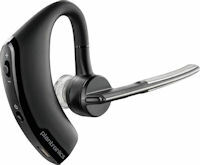 Note: Plantronics released a new firmware update as of 11/1/12 that "improves most reported issues around call clarity and audio distortion" related to the Apple iPhone 5 and iOS 6. Headphones are not just for music, and are adding mics and mini controllers to switch between listening and phone calls. Similarly, Bluetooth headsets are not just for phone calls, since you might as well enjoy all that music on your smartphone when you're not on calls. But music is stereo and immersive, while Bluetooth headsets are just for one ear. 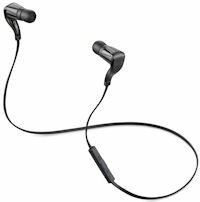 So the answer is to use two earpieces, like the Plantronics BackBeat GO Wireless Earbuds -- connecting the left and right ears with a wire, but still wireless to your phone. adjust volume / mute, answer / end calls, play / pause music, skip between tracks, and even check the battery level. The earbuds provide sound isolation, with three sizes of cushioned eartips to fit your head, plus optional in-ear stabilizers for more active use. With the BackBeat GO earbuds, you can be on the go for around four hours, switching between phone calls and listening to music or podcasts. They also include noise cancellation and echo cancellation for better clarity. The BackBeat GO earbuds are available for $99.99 in black or white. 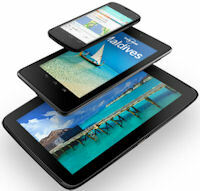 Holiday Gadgets 2012 - Moving Into the Cloud? It's holiday gadget season, with companies from Apple to Amazon, and Microsoft to Samsung, working hard to court us with very different perspectives on portable electronic gadgets -- and to sign up our credit card numbers so that new purchases are just an easy click away. 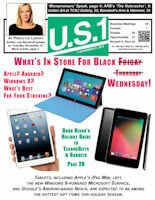 To help make sense of the broad (and sometimes confusing) array of options, I'll be presenting my annual Holiday Gadgets talk in several locations in the Princeton area -- with a round-up of the latest crop of tempting portable gadgets, and especially the exploding options in portable tablets. Another expanding focus this year is on the Cloud -- the possibilities of storing all your information and media in online servers. The idea is to make your life easier, so you won't have to plug into a computer in order to copy files to your device, or manage your stuff across multiple devices. But we'll also discuss the trade-offs of the cloud approach, and the big differences between the available services. And, of course, we'll discuss and demo portable handheld devices, including smartphones and tablets, as well as dedicated devices like e-readers. Plus, another fun selection of portable accessories to share and enjoy your devices on the go, including video and audio, storage and power. Entries posted to Manifest Tech Blog in November 2012, listed from oldest to newest.